Capital Medical Corporation carries a wide variety of braces that have a core functionality based on static progressive stretching therapy. 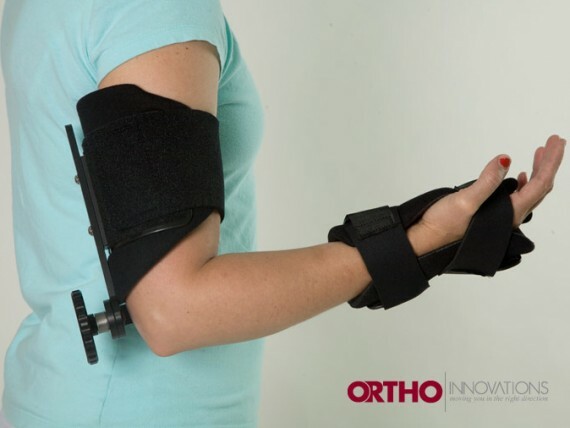 Static progressive stretch orthoses (braces) are used to restore lost range of motion to contracted joints through the biomechanical principle of stress relaxation. In biomechanics, soft tissues such as tendons, ligaments, muscles, joint capsules, skin and fascia are also referred to as viscoelastic materials. As a viscoelastic material is stretched out, and then held at constant-length, the tendency to rebound gradually declines. This decline in force is called stress relaxation. 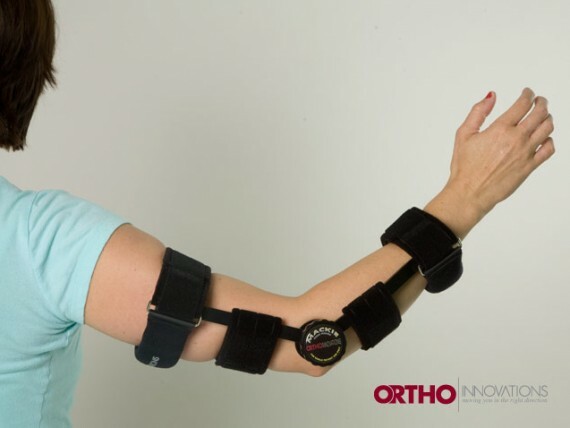 Static Progressive Braces utilize technology that works by stretching soft tissues using a series of incremental changes in the joint position held constant over prescribed periods of time. Connective tissue reacts very well to this low load prolonged stretch. This creates an effect within the viscoelastic materials that make up ligaments, and tendons, allowing them to slowly adapt to the elongated length, resulting in permanent plastic deformation in the most time efficient manner. As with all product lines, Capital Medical Corporation works closely with the industry’s leading manufacturers of static progressive bracing devices. 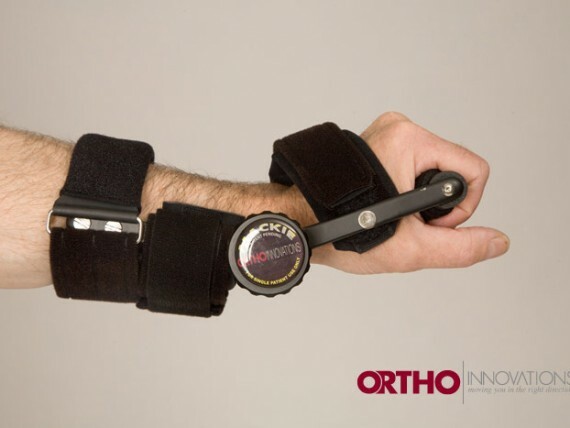 We are proud to carry a wide range of Ortho Innovations “Mackie” orthoses. With offices in Tallahassee, Jacksonville, Gainesville, Ocala Fort Myers and Naples, Capital Medical Corporation is a home medical equipment and medical supplies provider. We specialize in orthopedic post-surgical and rehabilitation products. We are providers for Medicare, Blue Cross/Blue Shield of Florida (through CareCentrix), Florida Vocational Rehabilitation, Aetna, and Veteran’s Administration. All products will be shipped within 24 hours of receiving the order. We will ship all products by USPS Priority 2 day mail, within the continental United States only. The customer will pay for shipping charges at the time of check out. We will accept returns within 30 days for product that is unopened, in the original packaging. If the product has been opened, we will only accept returns within the 30 day time period when there is a defect. Upon receipt of the returned product, we will verify there is a defect before replacing or refunding. © 2018 Capital Medical Corporation.